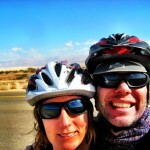 Home » Lifestyle » What makes a campground bicyclist friendly? 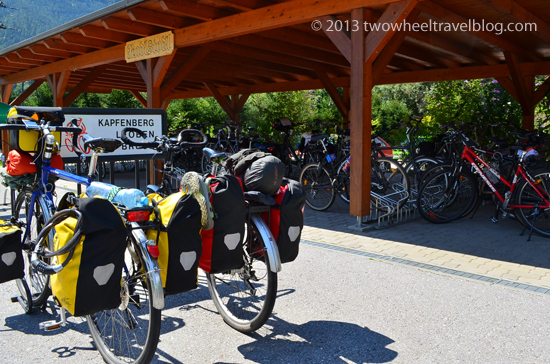 What makes a campground bicyclist friendly? Aren’t camps inherently bike friendly? Why should campground operators even care? Some are better than others, but really most campgrounds bizarrely overlook the small improvements that could lead to attracting even more cyclists and add to their own PR efforts, too. Over the past few years, many hotels have made efforts to increase their bike friendly status by adding various, sometimes superfluous, services and facilities. The result has generally been positive for the hotels and cyclists alike. Since many touring cyclists love to camp we thought it would be beneficial to look at what campgrounds could do to become more bicycle friendly, too. This is one factor that’s hard to change. Either it’s the right spot or it’s not. A campground’s location along or near popular bicycle travel routes will lead us to choose it over others. It only stands to reason that if a camp is near a popular route they should do everything possible to attract passing bicycle tourists. That’s where the next few criteria come into play. It’s amazing how many camping areas still don’t have this. Imagine traveling all day over hill and valley, arriving at your campsite to discover a nice place to prepare and eat a meal or simply relax. Now imagine trying to do the same while sitting on the bare ground. Not impossible, but definitely less comfortable. You could carry a folding table (we’ve seen this), although it seems over the top. A simple picnic table at each camp space makes all the difference. 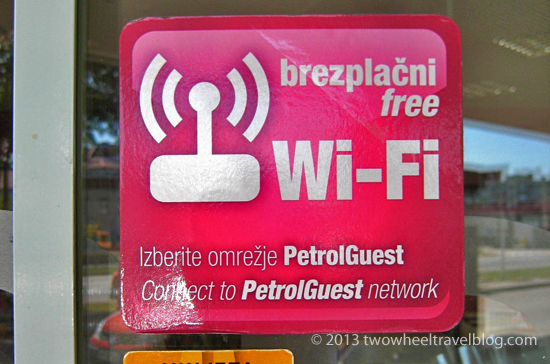 Most camps (and even petrol stations), in Slovenia at least, have gotten the memo. Surprisingly camping areas in the rest of Europe are sometimes missing the boat on this one. Wifi is essential to guest satisfaction. If you don’t have it, we’re not even considering a stop. Almost everyone traveling by bicycle for any period of time needs easy and unrestricted access to the web. Route planning, Facebook, Twitter, email or blogs. They all need your attention, even when on a bicycle holiday. Just like the table thing, bicyclists need access to these basic facilities. Especially considering we can’t easily carry washing and extensive cooking equipment on our bikes. It doesn’t have to be fancy. Even a basic laundry sink, a small fridge and dish sink will do. We have yet to see this properly implemented at any campground. If your camp has a secured area with overhead cover this will surely attract more bicyclists. We cyclists are protective of our steel framed steeds, and we would love a solid spot to secure them, even if only for one night. Again, we haven’t yet seen this implemented properly at a camping site. 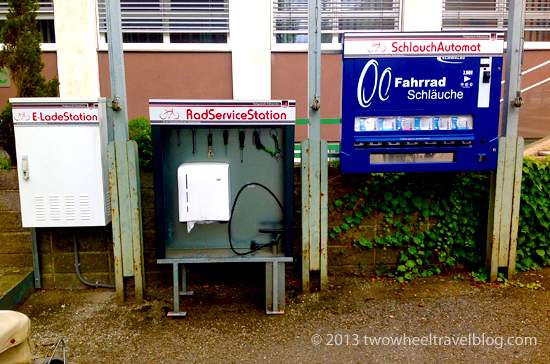 A few trail side service facilities in Germany and Austria have what we’re looking for, but we’ve yet to see it at a camp. But, we can hope. A simple, self-service repair and maintenance station installed at a campground trying to attract bike tourist would pay for itself within one season, even if only in PR value. As traveling cyclists, we’re always looking for a convenient spot to clean/lube a chain, repair a flat, adjust brakes or derailleur. If you run a campground and you have some thing like this, let us know. We’ll come and tell the cycling world. Have we missed one that’s important to you? Tell us which features and services are most likely to attract you to a campground. It makes a lot of difference for a campground to have a special rate for campers without vehicles or a “hiker-biker” area so that a lone cyclist (or couple, for that matter) is not paying the same rate as an RV full of people. You didn’t mention showers! I am often grossly sweaty by the end of the day. I’ve certainly camped in many Forest Service campgrounds without showers but they sure are nice to have. Washing clothes, at least crudely, is usually possible. What’s hard to do on a bike trip is dry them! If the weather’s bad, or the stay in camp is short (which it usually is), washed clothes tend to remain wet for a long time. A dryer in camp is an appreciated luxury. Myself, I couldn’t care less about Wi-Fi. I don’t go camping or visit other countries in order to bury my nose in a computer screen. We didn’t include showers, b/c well, we assume that any paid campground is going to have showers. Unless it’s a primitive campsite, which charges no fee, so no services are expected, like you’ve referenced – the Forest Service primitive sites. As for wifi. For us it’s important. Certainly we don’t spend our time buried in the computer screen either, but route planning and research are key, as is communication. We included it mainly b/c of the input we’ve gotten from other bike tourists who have complained about lack of, or restricted access in otherwise great touring countries like France and Italy. 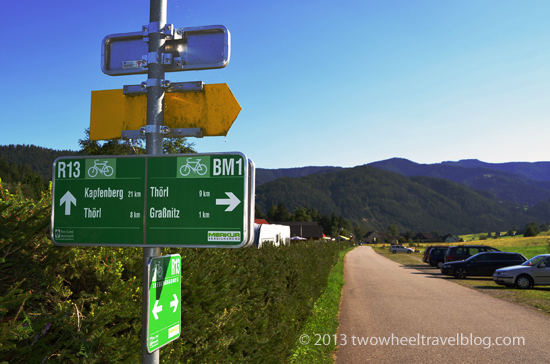 A big challenge when planning a trip is finding where the campsites are (bicycle friendly or not). I am currently planning a trip on the R1 from Amsterdam to Berlin, and then on to Copenhagen, but I can’t find anything about camping for cyclists along the route. Frustrating. 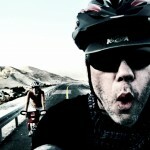 I have been trying to become a host of cyclist traveling cross-country through my part of the county (West Texas)? We have a great history here in my home town of San Elizario Texas, I am willing to offer my back yard, for overnight camping. 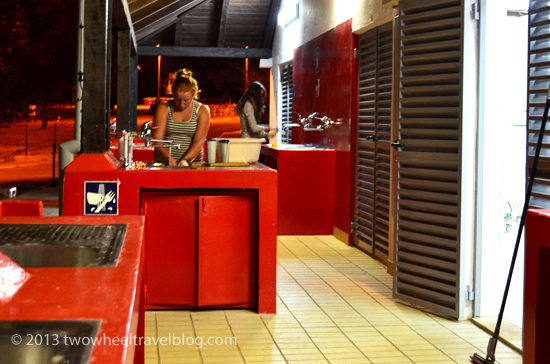 We have out-door kitchen and out-door restrooms with a shower and of course plenty of camping area. I am offering you all a place to stop and camp on your journeys along the Southern Tier for free. I have included three links below that are of interest located a short distance from where I am located. The mission trail is a nice route to get away from the freeway (I-10) and there are some nice back roads that can take you back the southern route on the way out of the area. San Elizario has many things to offer and make your visit pleasant, the historic district has a few art galleries and more and more small restaurants are to be opened in the area. A new coffee shop and bakery is coming soon. Campers welcomed seasonal from March 1 – April 30th, June 10th – August 31 and September 10 — November 30th. (Schedule subject to change) plus i can make exceptions for special situation. Tyler, that was may main idea, but I am not shore how I would start this, that’s why I posted here, where your readers could see.. Any advice is more then welcomed. 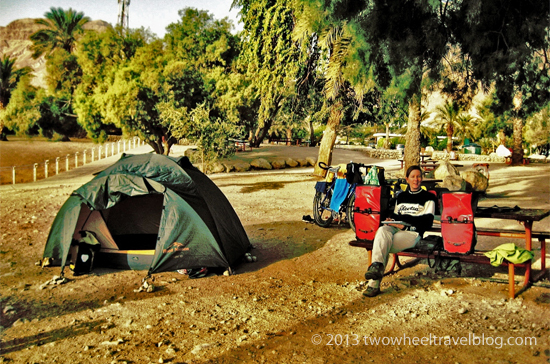 A shower, a cyclist discount and someplace to set up a tent other than between two enormous RVs. However if the goal of a bike trip is the camping itself, the ideal campground may be one that offers no amenities at all except those provided by nature. A quiet county park or Forest Service campground might be “primitive” but maximally enjoyable. And without the need to drag along a large motor vehicle, bicyclists are often in a good position to set up camp in non-designated places. I’ve been in some campgrounds where the cyclist-friendly service I most wished for was a bear-proof locker for food! Just read the article and it has planted a seed in my mind. 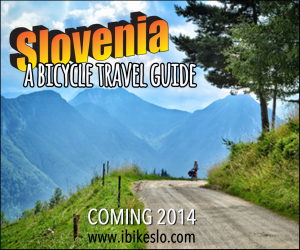 I am about to head back into Japan for 3 months touring, when I get back I have to find a job , but I’d love to start up a business and a backpacker , cycle tourer place would suit me to a T.
So, you want to Bike Tour Slovenia? chukins on So, you want to Bike Tour Slovenia?